Andrew Pearce died in a collision on the B9015 Garmouth to Mosstodloch road on Tuesday evening. The 37-year-old father of four had been out with his son on a motorcycle ride at the time of the crash. 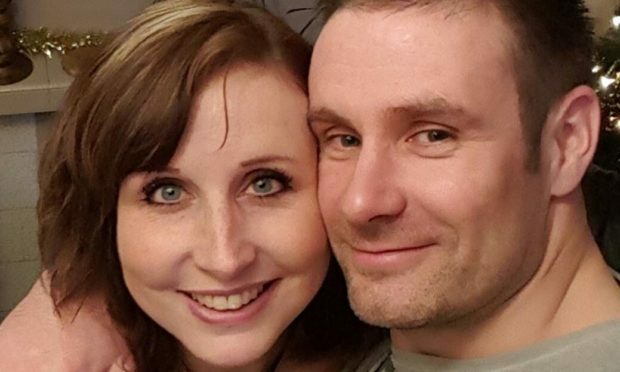 Mr Pearce’s wife Jacquelyn took to social media to share the news of her loss with family and friends. She wrote: “At five-ish my son and husband went out on their motorbikes. “Only my son came home. 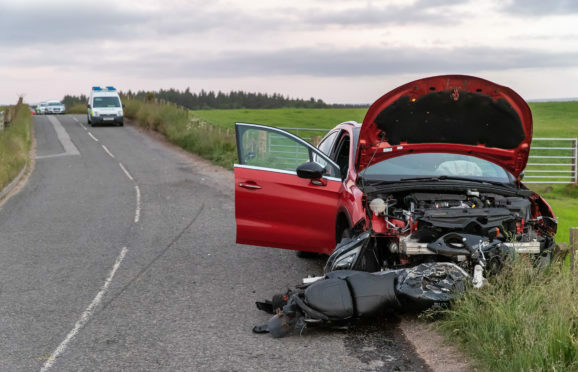 The collision, between the black Suzuki motorcycle Mr Pearce was riding and a red Citroen, happened at around 5.30pm that evening. Police were forced to shut the road for several hours while collision investigators looked into the incident. The fire brigade were also called to the road, with one unit from Fochabers sent at around 5.40pm. It left after less than an hour, once crews had made the scene safe. In a post online Mrs Pearce urged other motorists to take care on the roads and be “bike aware”. She also said: “Our lives will never the same again. “My husband, my best friend, our daddy – we love you. Last night Sergeant Stuart Lawrence said: “We are keen to trace any drivers who may have been travelling on the road around the time and seen either vehicle prior to the collision. Anyone with information is asked to get in touch with police by phoning 101 and quoting reference 3027 of June 5.